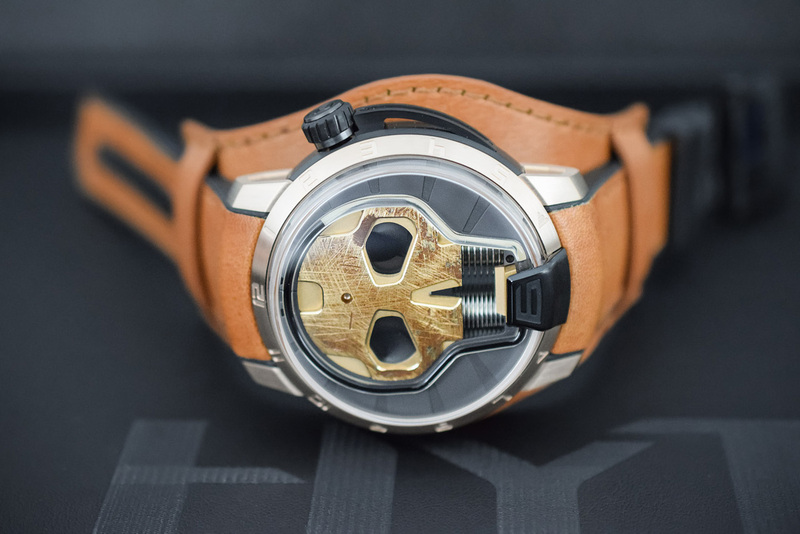 HYT has a new version of the Skull watch around the corner, with a slightly reduced diameter and a newly designed dial: The Skull 48.8. The case has been slimmed down from 51mm to 48.8mm, perfect for more slender wrists. The skull is patinated, a finish designed to enhance it as it ages. 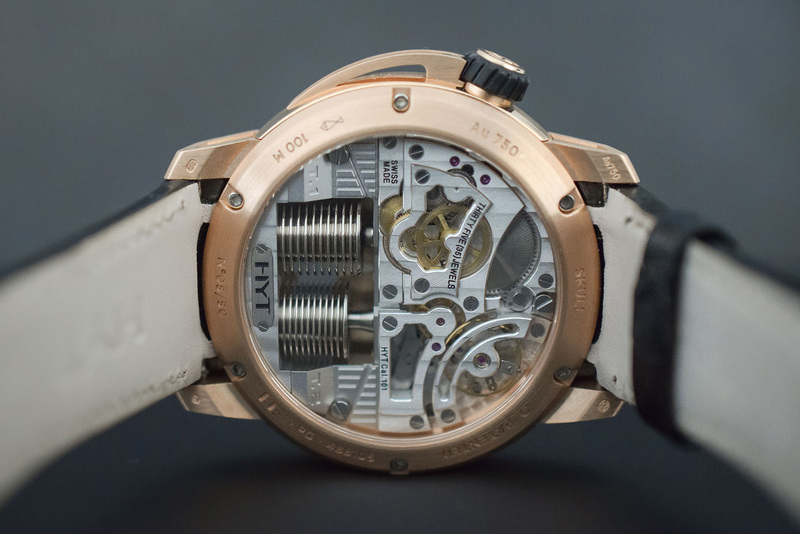 The patina grows with every passing second measured by the HYT device. 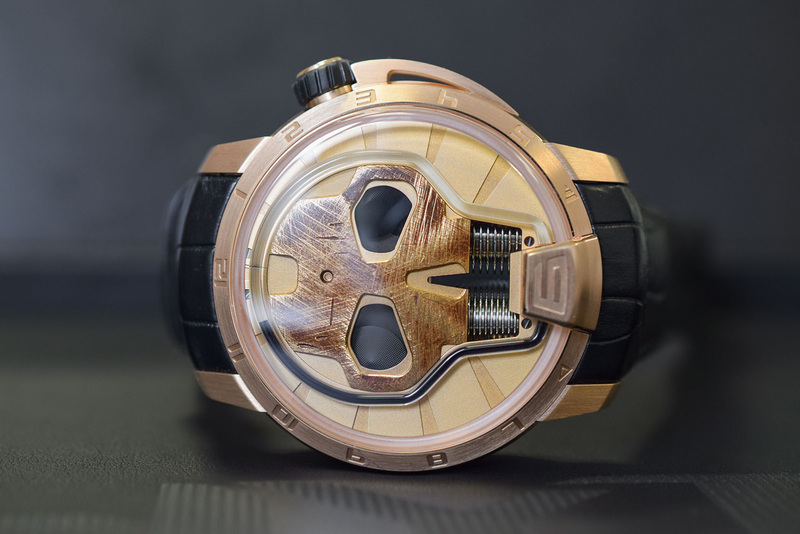 More specifically, measured by capillary, which hugs the outline of the skull – a feat of glass engineering. 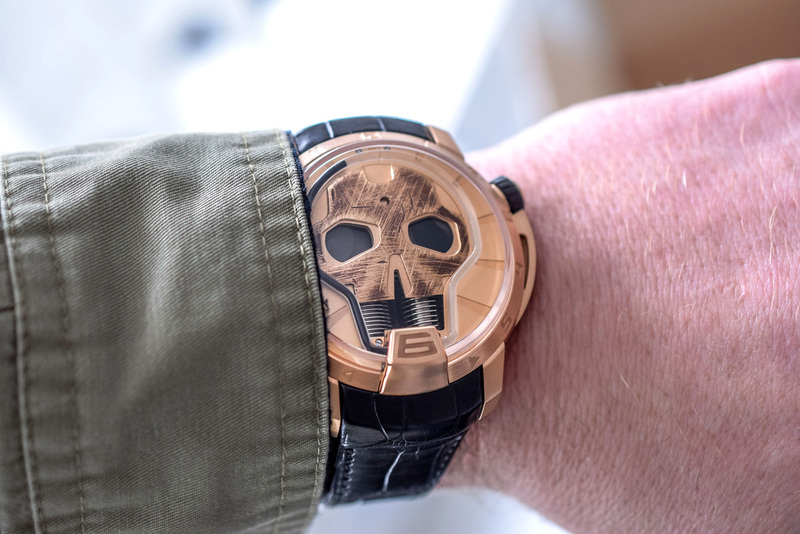 A watch adorned with a skull. One might think just another passing trend, but this would be to forget that the watchmakers who created the first portable timepieces, in the sixteenth century, at the height of the artistic genre of “Memento Mori”, immediately recognized the significance of the symbol. Make the most of your time, friends, for life is short. 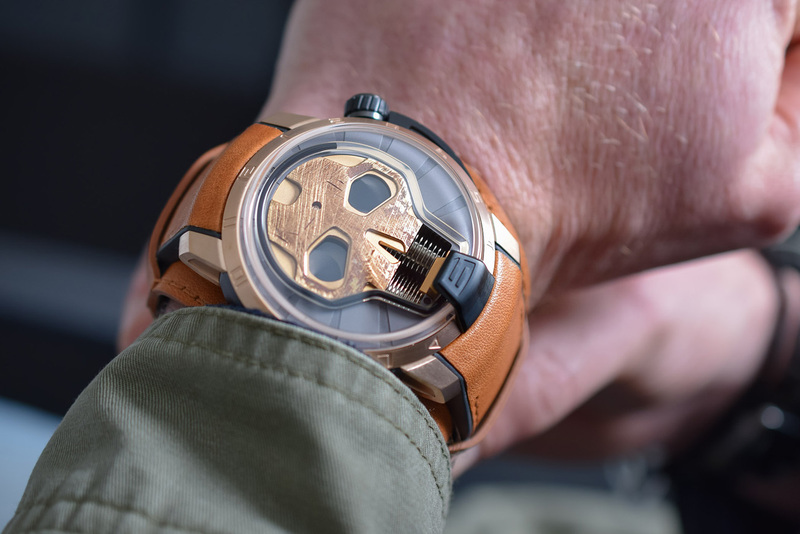 The case for the first version of the Skull 48.8 is made from 5N Pink Gold. The hours are indicated on the outer bezel. The external dial boasts a magnificent grained effect thanks to its microblasted treatment. The strap is made from matte black alligator. 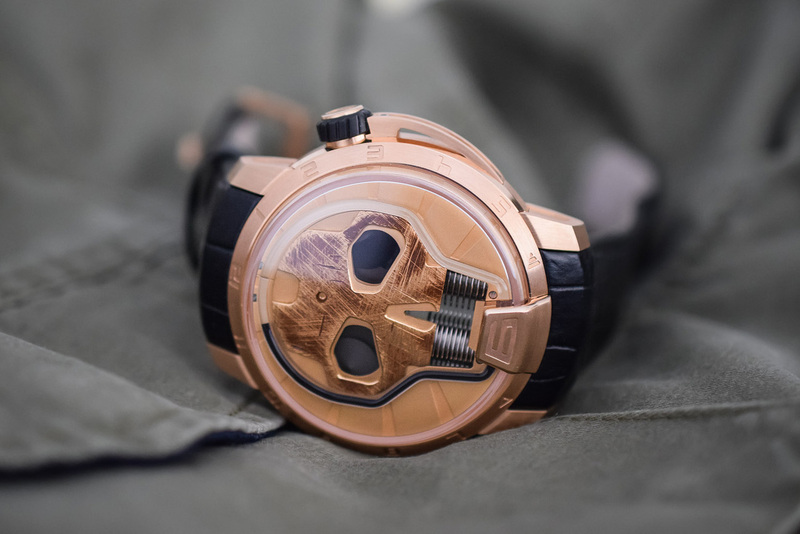 The second version of The Skull 48.8, made from Pink Gold (5N) and black DLC Titanium, features an external dial treated with an Anthracite Grey galvanized coating. The cognac-coloured patinated leather strap, with a rubber core, comes with a matching cuff. The black titanium and gold version will be priced at CHF 79,000 and the full 18k Rose Gold version at CHF 89,000. Each version is a limited edition of 50 pieces. You can buy it or you can buy other models by HYT: HYT H1 Alinghi, HYT Skull Maori or one of HYT H0 collection. Also wacth brand HYT is one the most luxurious watch brands for men.